As a child I saw the gilded buildings of Madrid, the canals of Venice and the art galleries of Paris, all from my dad’s shoulders. I was a slight six-year-old, but a six-year-old nonetheless, and I’m sure he fell into a hotel bed every night with a sore back and shoulders. He would have loved the SaddleBaby. 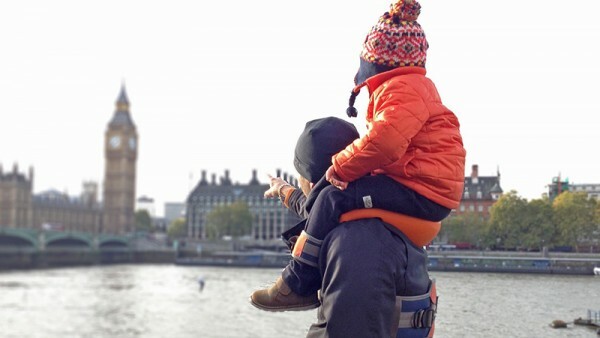 SaddleBaby is a device that lets parents carry kids on their shoulders hands-free. Instead of holding your son’s ankles, you can hold a camera, or maybe a crusty baguette filled with salami and brie. The SaddleBaby comes in three models. The Original ($116) is a foam saddle that wraps around the back of your neck and shoulders. An adjustable belt goes around your chest, and your child’s ankles go into ankle cuffs. The SaddleBaby Pack ($155) is a combination foam saddle and backpack that you can fill with kid essentials like a cuddly dinosaur, textas and paper, and snacks. 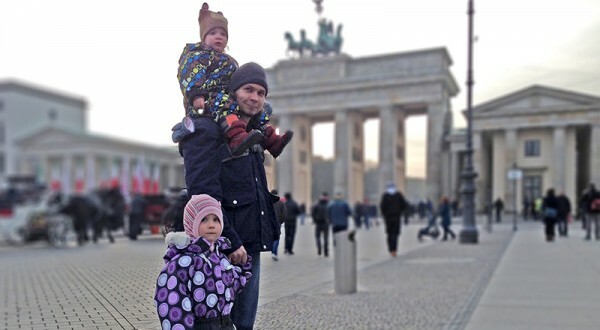 At times when your child wants to walk, the saddle tucks away into the hood pocket. The Uni ($77) is a hybrid of the other two styles, and lets you turn your own backpack into a SaddleBaby. It has the saddle and ankle straps, but no chest belt. The Uni relies on the structure of the backpack for support. SaddleBaby is available online and ships to Australia for $59.